The success of the K-Series filter is directly attributable to the innovative Quick-Connect fittings that are incorporated into the design. These fittings are unique in two ways. First, they allow for the installation of the inline filter in a matter of seconds. Inlet and outlet tubes are simply snapped into place and secured using a patented collet system. Second, the fittings are molded directly into the filter body and cap as a single unit. This reduces the chance for weeping or seepage. Cap and body are spin-welded together producing a smooth, consistent seal without the use of glues or binders that can cause contamination. The result of these design and production techniques is a reliable filter that is fast and easy to install. One of the primary uses of this product is as a system component. The benefit is derived from the fitting being molded directly into the filter cap, greatly reducing clearance. Shown here (right) is a reverse osmosis system with the traditional 12" x 2.5" filter configuration. Notice that all the filters are uniformly attached. This results in the most efficient use of available space and greater filtering performance in a smaller overall area. 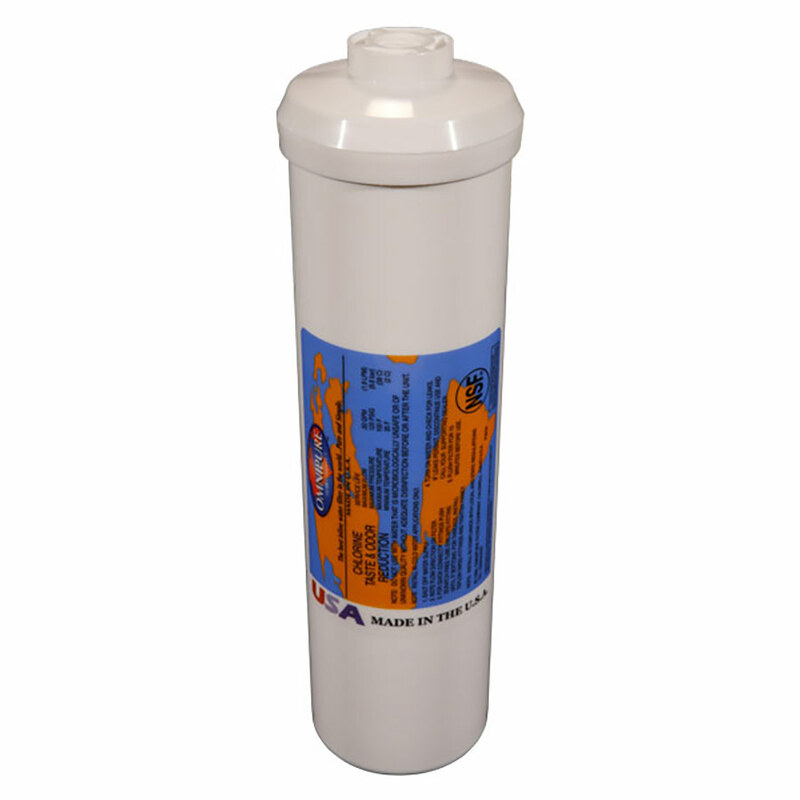 The K-Series filter is available in 6", 8", 10", 12" or 14" lengths manufactured in 2" or 2.5" diameters. The true benefit is that systems can be designed to incorporate the various lengths and diameters - either all the same size or intermixed - to meet specific filtration needs.